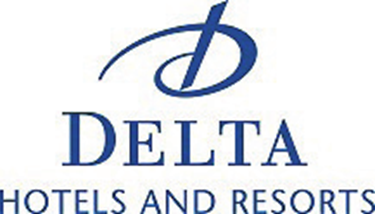 As a full-service hotel chain catering to corporate and leisure travelers, Delta Hotels and Resorts, founded in 1962, has grown to become Canada’s leading hotel management company. Today, they boast a diversified portfolio of 37 city-centre, airport and resort properties. Widely viewed as the brand of choice for discerning owners and guests, they take pride in being an exemplary employer to more than 5,800 people and an active corporate citizen building stronger Canadian communities from coast to coast. In 2012, faced with the requirement to implement advanced security solutions across their brand and to reduce the amount of human and financial resources expended on PCI Compliance, the company moved away from an outdated premise-based payment gateway to a Merchant Link cloud-based solution that included TransactionVault® tokenization, TransactionShield®, Point-to-Point Encryption and E-commerce Security Solution. Security threats to the lodging industry have increased exponentially. It was clear to the Information Security and Information Systems divisions that their data security strategy had to move beyond compliance requirements. The challenge became how to manage PCI compliance and ensure the highest level of data security while the IT environment was rapidly growing more complex. “Our vision for payment security was to go beyond the recommended PCI compliance standards and provide the hotels, our staff and our guests the utmost protection for credit card data, by completely removing cardholder data from our systems,” Yu Jin said.